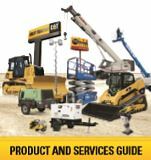 Caterpillar equipment, earthmoving equipment- Kelly Tractor Co.
Kelly Tractor Co. is the authorized Caterpillar dealer for South Florida. We offer Caterpillar equipment for sale, lease, rent and have a large selection of used Caterpillar equipment. 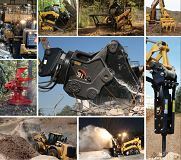 We offer a large selection of Caterpillar parts, and we offer excellent Caterpillar product support. Headquartered in Miami, FL we have stores in: Miami, Davie, West Palm Beach, Fort Myers and Clewiston. For more information, please contact us at 305-592-5360.